It is a stretching preform innovative system based on a servomotor with planetary gear. 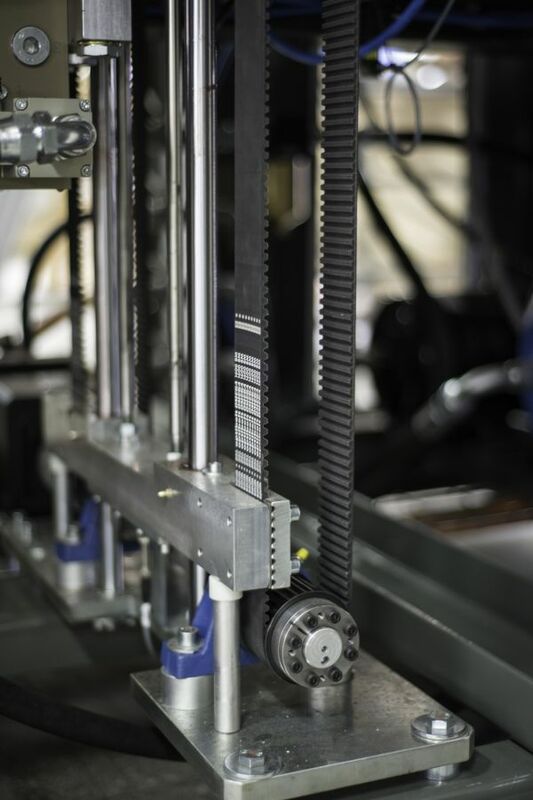 This system ensures repeatable process of preforms stretching and results in bottles of highest quality and repetition, which is unachievable by traditional stretching systems based on a pneumatic servomotor. The unique advantage of this system is that there is no need to set stretch rods manually while changing the type of produced bottles. The system automatically adjusts the length of stretching to a blowing form (no operator’s action is needed). The system ensures high quality of PET containers, which is impossible to achieve in linear blow molding machines with a pneumatic stretching system.